CBS met with television critics Sunday, ostensibly to talk about its entertainment line up. 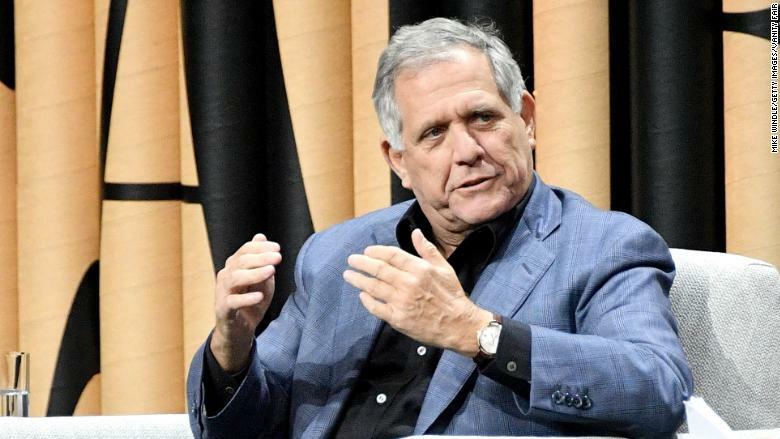 But CBS Entertainment President Kelly Kahl couldn't avoid talking about the company's CEO, Leslie Moonves, and the investigation into sexual harassment that's swirling around him and the parent company. "Obviously this has been a tough week at CBS (CBS)," Kahl said at the TV Critics Association tour in Beverly Hills. But he said the entertainment division is "committed to a collaborative, inclusive and safe work place." "We're not saying we're perfect. No large company is," Kahl said. In late July, The New Yorker published allegations from six women who said Moonves sexually harassed them. The article, written by Ronan Farrow, also suggested a culture of complicity at CBS, in which powerful men covered for other powerful men. "All allegations need to be, and are, being taken seriously," Kahl said, adding, "There's nothing else I can say about Leslie or the current investigation." Kahl said CBS had thought about canceling its TCA day because of the awkwardness of meeting with reporters and critics at this moment, noting that he couldn't comment about the broader investigation. He decided he should appear, he said, because "I value this event. I value our relationship," and because he "felt it was important to speak up" on behalf of CBS Entertainment's employees. The lion's share of the questions during Kahl's 25-minute question-and-answer exchange pertained to sexual harassment, the overall culture at CBS and specific allegations that have arisen. In terms of significant news unrelated to the harassment investigation, Kahl indicated that the upcoming season might not be the last for CBS' top-rated comedy, "The Big Bang Theory,"
He said CBS and Warner Bros., the studio that produces the comedy, were in preliminary discussions about extending the run through a 13th season. Kahl earned some credit just for showing up. And the network received an assist in navigating the session from two unlikely sources -- its principal broadcast rivals, ABC and NBC. ABC announced that its entertainment head, Channing Dungey, would skip its session on Tuesday. NBC officials are expected to do the same. In a separate session, Diane English, the producer of CBS' "Murphy Brown" revival, stated that she took sexual harassment seriously and had never had a negative experience at CBS. She added that the fourth episode of the show -- which premieres in the fall -- would deal with the #MeToo movement, under the title "#MurphyToo."